Will Keane a successful forty-eight year old restaurateur and serial womanizer introduces to twenty year old Charlotte Fielding by his grandmother. Dolly, Will’s old friend who has not seen in years there is a mutual attraction. After their first meeting, Will and Charlotte agree that their relationship will not be a long term relation. Charlotte announce that she has a terminal heart condition. Charlotte’s admission makes Will to look at their relationship in different way. His best friend John told him that treat her well and their relationship leads in different way than both expected. Charlotte change her attitude from “let me die in peace” to want to fight for life. 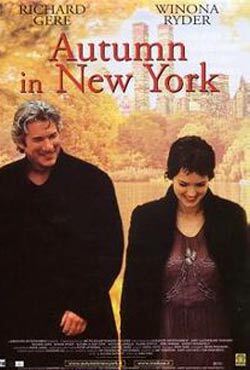 Awards & Nominations Won by "Autumn in New York Movie"
Box Office Earning of "Autumn in New York"